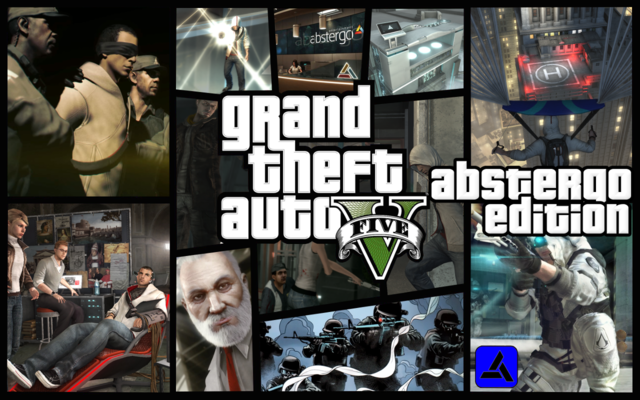 So this section is called Art, and i modified the GTA V portrairt to make GTA V: Abstergo Edition. I hope when GTA V arrives on PC, it will be able to be modded without problems (i hope it won't be hard because X360/PS3 versions are being modded now). also known as "when does gta v pc release"
or "what do the numbers mean mason" version: "it's the final countdown"
When GTA V is release on PC, I hope someone makes a mode that lets us climb buildings like the assassins do!